Relentless Strength and Endurance can be yours now! I was an eye-rolling sceptic. After 10 years of military training, weight-lifting and martial arts, I thought I could spot what was result-generating vs mystical mumbo jumbo that does not work. I mean c’mon. I had been a paratrooper, marathon runner, mountain climber, kick-boxer as well as crossing some rough terrain like inside of the Arctic Circle. So, when my kung fu instructor, whom we called “The Butcher” told me that my weight-lifting and kick-boxing routine was ruining my health and that I should focus on body alignment and breathing, I thought he was out-to-lunch. This totally went against every hard-earned training technique that had been drilled into me since I was a teenager. I was just not ready to accept his advice. Yet, I had an uneasy feeling that he might know something that I didn’t. Admittedly, The Butcher was light years faster than me and he moved incredibly effortlessly. Two of his students were lightning quick and felt strong as bears. I did recall, as a teenager, training in hard-core, old-school martial arts enabled me to carry heavy objects, like the end of a 14 foot sail boat. At that time, an adult neighbor who was helping me, remarked that I must have been lifting weights. I told him that I did a little bit of weight training. But, it was something else that made the change. Then, I recalled the muscular karate Master Hidy Ochiai, who could withstand the blow of a sledgehammer breaking a cement block on his stomach, as he lay on a bed of sharp nails. Master Hidy Ochiai never lifted a weight in his life. Maybe there was something to this old school way of training. So, I dived in, full-bore. During the first few sessions, I found my legs shaking, sweat pouring off me like a faucet and my breath…well, my breath never quite catching up. Yet, I started to feel a kind of high, like I was feeding off a new source of energy. My flexibility, strength and even digestion improved and, at night, I slept soundly as a rock. Once, after five months absence from the kick-boxing gym, I foolishly entered a match against a fighter trained by Barry Atkins of the White Crane club in Kamloops, B.C. Canada. Atkins was a world known competitor and instructor and all of his fighters were in top shape. During that event, Atkins fighters won 10 of the 11 matches, often ending the fight in the first round. Can you guess who disappointed the Kamloops team? And when later re-joined the army reserves, I was able to keep going,despite soldiers 15-20 years younger, literally collapsing around me. I have had a fair share of injuries to my back, knees and shoulders since my 20’s. (I am now 60.) But, I have managed to recover and prevent serious injury through the rejuvenating exercises, body alignment, muscle control and breathing that I teach in my book. I have also trained hundreds of people in these systems with mind-boggling results. One trainee, who was a provincial level body builder went from 12 to only one chiropractic session a month after eight training sessions in my group class. One lady lost her sciatica pain after a couple of sessions. Another lady stopped taking pain medicine and dropped excess body fat. 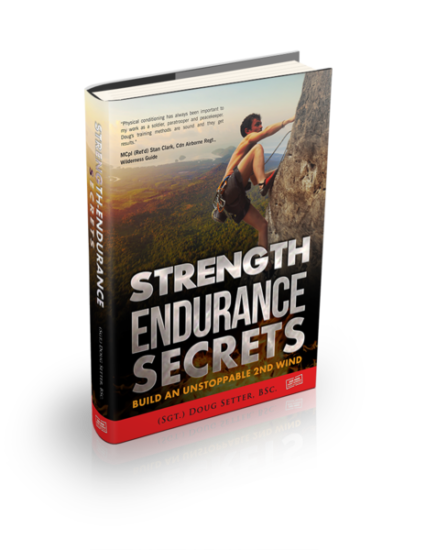 Why wouldn’t you like to learn the Strength-Endurance techniques that sky rocketed my fitness, reduced pain and turned-back-the-clock for me? Or do you want to keep following the painful routines and cardio workouts that can actually accelerate ageing and increase injuries? Along with the strength, endurance and flexibility of this system, I found that I gained a greater sense of calm. I rarely get tired. I often out-train and out-distance younger people. My digestion is good. I rarely get indigestion or have the urge to over-eat. My muscles have taken on a chiselled definition, especially on my abdominals. My friends and acquaintances often compliment me on my flat stomach and say that I look 10 to 20 years younger than my real age. I wake up in the morning, feeling energized. I feel less “wear-and-tear” on my knees, back and shoulders. I feel an overall improvement in my posture, confidence and health. I can move heavy objects without strain. I have ample energy to train and still have time for friends and family. I can perform the exercises almost anywhere with about 12 square feet of space. I am never lacking for motivation to accomplish anything I set my mind on. My flexibility is better than most teenagers. “Physical training and martial arts have always been a large part of my life. I always pick up some great ideas from training with Doug.”–Andy Slusarenko, 2nd degree black belt, Yoshinkai Aikido, former paratrooper and prison guard. 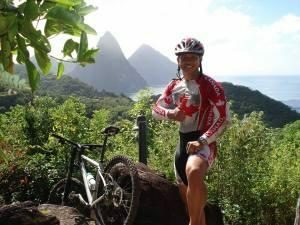 “Dear Mr. Setter, Since training with you I have more energy, better flexibility, toned stomach muscles and less body fat. I sleep better and snore less. I find it easier to face physical challenges that arise at my work and home. My wife, has a renewed interest in me now. (I wonder why?). Dean Robertson, 4th Utility, Burnaby, B.C. 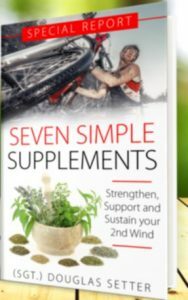 IMPORTANT: When you receive your download page, click on: “More information about this product” to download your Free Report.